Semiconductor Experts, Ready to Go! Intrinsix customers are often the very largest and boldest of the semiconductor industry. They turn to us because our reputation in finding and retaining the highest class of semiconductor design and verification experts, whether digital, analog, RF or mixed-signal is unsurpassed. 30 years of working as staff-augmentation partners on thousands of chips have sharpened the blade: we know how to fill out a team and cut through to finished, working chips. Choose Intrinsix if you want someone who speaks your language and will not waste your time. Seniority in engineering drives efficiency: Knowing how to spot issues and how to get around them SIGNIFICANTLY lowers time to completion. 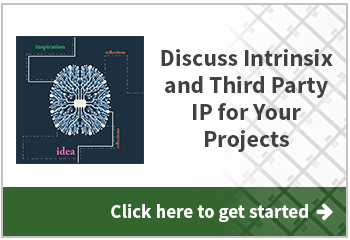 Every project is unique: Tools and IP differ as well! Evaluate engineers and companies based on an institutionalized approach to climbing learning curves. Intrinsix platform, process, and people can make a difference on even the simplest of staffing projects. Choosing a partner: The best partner may not always be in your backyard or with whom you have experience - look for infrastructure and the ability to pull solutions from a wide range of locations and options.